Quote: "Students have been sickened by fumes that prompted an evacuation at their school. Houston Fire Department declared a 'mass casualty incident' after students fell ill at the Young Women's Preparatory Academy in the 1900 block of Cleburne. The principal initially called 911 to report a gas leak after five students reported feeling sick. The school was evacuated and HFD tested the air, but found no gas leak." Quote: "According to HFD, more than 50 students were taken to various hospitals as a precaution. Some reported headaches, feeling weak, nausea and vomiting, and in some cases, anxiety or asthma attacks." Quote: "Students started to panic after seeing their friends faint. 'I saw a girl pass out,' said one student. 'I was freaking out.'" Quote: "As for what caused the putrid rotten egg smell, officials are stumped!" Quote: "Crestview students were released a few minutes early after a strong gas odor developed at the high school on Thursday afternoon. Superintendent Matthew Manley said about three to five minutes before students were scheduled to leave, there was a strong gas odor in an area of the building where there is not a gas line present. The students were asked to quickly exit the building and parents were notified with a one call from Manley." Quote: "While the cause is not entirely known, Manley said it is believed the gas odor was coming into the building through the air ducts from somewhere outside the building." Quote: "It found an increasing prevalence of older dissolved carbon and carbon dioxide in the waters as the summer advanced. The research also discovered one case of carbon in methane gas that was more than 2,000 years old." Quote: "Thursday’s fire is the second conflagration that has occurred at a Paturel operation on Deer Island in the past six months. A lobster storage site on the other side of the island was destroyed by a fire in September, the CBC reported last fall." Quote: "At least two businesses have been evacuated Friday due to a possible gas leak near 1008 East Fort Union Boulevard. Unified Fire Authority says a Verizon store and a Firehouse Subs location have been evacuated after reports of the odor of gas." Quote: "Officials with Dominion Energy say they responded to the businesses that self-evacuated Friday and determined there is no gas leak." Quote: "Multiple manhole fires led to a cellar explosion in the Bronx early Friday morning. Massive concrete chunks of a building's front steps flew into the air. According to the FDNY, firefighters arrived on Park Avenue in Belmont at about 12:45am to find up to three manholes on fire." Quote: "Five cars caught alight at a recycling plant near Queanbeyan on Friday. Fire crews were called out to the plant on Underwood Street in Beard, near the ACT border after 11am. They said it appeared the cars went up in flames inside a truck moving them into the facility for compacting." Quote: "Meanwhile, a report in The Times of India quotes a senior official from Mahanagar Gas Limited as saying that there were no leakage of any of the gas pipelines of MGL. It was further reported that the MGL control room received numerous phone calls enquiring about leakage. However, it is now being suspected that the stench was from a chemical tanker passing through the area." Quote: "And here's another warning sign. High methane releases followed this chain of events on February 27, 2018, pm, likely originating from the seafloor of the East Siberian Arctic Shelf (ESAS). On March 1, 2018, methane levels as high as 3087 were recorded. Note the solid magenta-colored areas over the ESAS on the image below." Quote: "The Wood County Sheriff's Office are investigating a vehicle fire Saturday that killed one person. According to the Wood County Sheriff's Office, officers received a report of a fully engulfed vehicle fire on U.S. 6, just east of Rangeline Road." Quote: "A truck sitting in the driveway of a Harford County home caught on fire and spread to the roof of the home Saturday evening. The Office of the State Fire Marshal says fortunately a neighbor saw the fire and reported it, as the fire was outside and had not been detected by inside smoke detectors." Quote: "The car was parked about 10 metres off Speech House road near to the entrance to the quarry, which is a household recycling centre. A body, believed to be that of a man in his thirties, was discovered in the vehicle around 10.30pm on Saturday, March 3." Quote: "Officers are not treating the incident as suspicious." Quote: "A Tez Jet plane en route to Batken, Kyrgyzstan, on Thursday was forced to make an emergency landing just 30 minutes after takeoff when one of its engines exploded. Alarmed passengers who looked out their window could see the dangling engine whipping in the wind, surrounded by smoke." Quote: "He stopped and found two automobiles burning outside a house. The fire had spread to the home. Within an hour firefighters had knocked down the bulk of the blaze." Quote: "Vezina said the fire appears to have started in one of the automobiles." Quote: "According to police, on Mar. 5th, shortly after 3 p.m., Trenton police received multiple 911 calls for a car fire in the rear of 464 South Olden Avenue. The fire department reported the vehicle was fully involved upon arrival. A deceased male in his early 50s was found in the dark-colored Ford SUV." Quote: "The death is being treated as 'unexplained' at the moment, a spokeswoman for Leicestershire Police said. Emergency services were called to the car park shortly before 6.30am after a member of the public reported a vehicle on fire. The area was cordoned off when the body was found." Quote: "In a bizarre incident, four people were killed after the fuel tank of a car exploded and subsequently the vehicle collided with a truck on GT Road near Haryana’s Shamgadh village in Karnal." Quote: "Flames and smoke poured out of a manhole in South Boston. Popping noises could be heard coming from the manhole on E Street. Police said this is just one of several manhole fires in the area." Quote: "A huge explosion rocked an electric substation in North Yorkshire and left 22,000 homes without power." Quote: "The emergency services were called to the town after a man collapsed. Police and the ambulance service attended a medical incident in London Road, Gravesend, at 7.30am on Monday, March 5." Quote: "Kenny Elementary School was evacuated Tuesday after a 'gas-smelling odor' was detected in the building just after 9 a.m. Students left the school and the Minneapolis Fire Department arrived on scene to investigate. Fire crews reported zero gas readings." Quote: "A man has been killed after sustaining serious burns in Auckland. Emergency services were called to a house on Felix St, Onehunga, just after 4pm on Tuesday. The man was found dead on the property with serious burns. It is understood a barbeque may have been involved. A police spokesperson says the circumstances are not suspicious." Quote: "An explosion followed by a massive fire ripped through a container ship with several Indian crew on board, off the Agatti Islands, an Indian Coast Guard official said here on Wednesday. Four crewmen are reported missing. Casualties are feared in the disaster that struck on the high seas around 9.45 p.m. on Tuesday." Quote: "MAERSK Line, the world's biggest container shipper, said on Wednesday four crew members were missing after one of its container vessels caught fire in the Arabian sea, while 23 crew members were safely evacuated. Maersk Line said the crew of the vessel Maersk Honam sent out a distress signal after unsuccessful firefighting efforts on Tuesday. The situation is 'very critical' as the fire still continues and the cause of the fire is not known yet." Quote: "A crew member died and four others went missing after fire broke out on a new Maersk Line container vessel in the Arabian Sea, the company said." Quote: "A merchant navy ship MV Als Cicero, which reached Maersk Honam at about 11.25 p.m., reported that the container vessel was blazing with flames from the main deck of the ship leaping up to the ship’s bridge height of about 25 metres. The crew had abandoned the ship as fire spread beyond their control." Quote: "Fresh fire crews have taken over at Sims Pacific Metals in Favona where 1600 tonnes of car parts, roofs and tyres are ablaze. More than 80 firefighters and 20 fire engines are tackling the out-of-control blaze at James Fletcher Drive, in Favona, which broke out about 2am. The crews are also struggling to ensure there is enough water to fight the blaze, and are also using an excavator to break up the materials fuelling the flames. A witness said the flames were 'as high as the warehouses around it'. About 1600 tonnes of scrap metal, including old car parts, roofing, vinyl and tyres, covering an area of 100m by 70m and 12m high, are providing plenty of fuel for the fire." Quote: "About 50 people jammed Goleta City Hall on Wednesday night in search of solutions to one of the city’s foulest problems: noxious odors that smell like rotten eggs. Every so often, Goleta residents, mostly in the western part of the city, smell the stinky odor of hydrogen sulfide. It reminds people of rotten eggs and can permeate the air for miles. And unlike a mysterious fog that one can see looming over the city like a scene out of a 1950s B-movie, hydrogen sulfide is invisible and no one quite knows when it is going to be present, or for how long it will stay." Quote: "If you live on the west side of Pasadena, you might have noticed an odor in the air. City officials said they have received multiple calls from people reporting the smell of natural gas. The Pasadena Office of Emergency Management and Pasadena Fire Department said they are investigating, but have not determined the source of the odor." Quote: "The airline’s spokesperson, Adebanji Ola, said the captain briefed the passengers when the incident occurred. 'Arik Air flight W3 304 from Lagos to Accra on March 6, 2018 declared an emergency in line with standard operating procedures, when unknown source of smoke was detected in the cabin 81 miles from Accra,' the statement said. 'The captain of the flight briefed the passengers accordingly, assuring them that the aircraft was under control and safe for landing in Accra.'" Quote: "The fire took off quickly and created an intense amount of heat, spreading to nearby buildings. One additional structure was lost while six nearby buildings sustained some type of damage, according to Pixley. Additionally, crews extinguished six rooftop fires that were sparked by wayward embers. Ash was spotted as far away as the 16th Street Mall. Pixley said 40 vehicles, parked in alleyways and surrounding parking lots, were damaged or destroyed in the fire. The intense heat took its toll on construction and firefighting equipment, too. Three fire engines and several construction vehicles were damaged." Quote: "The United States Coast Guard said a fire on a Magellan-owned oil platform about three miles offshore of Corpus Christi, Texas on Wednesday afternoon has been put out. No one was aboard the platform at the time of the fire and a response boat crew reported that it was out at about 6:30 p.m., the coast guard said in a statement." Quote: "Two people have died in the wreckage of a small plane that crashed at Laredo International Airport in South Texas after the pilot reported smoke coming from an engine." Quote: "The plane, a twin-engine Piper-31, the Laredo Morning Times reports, went down after smoke emerged from one of the aircraft’s engines, according to Federal Aviation Administration spokeswoman Lynn Lunsford. The plane exploded into flames upon crash landing, images and video footage show." Quote: "As people got off, everyone noticed smoke and an actual flame coming up from below the middle of the train." Quote: "Somehow, an east Asian tick that has the ability to essentially clone itself and is a noted invasive species in other parts of the world made its way to Hunterdon County." Quote: "Upon arrival a farm tractor was discovered to be on fire. The operator of the tractor was deceased upon arrival of emergency personal." Quote: "Just before 9:30 Saturday night, a 911 call was made reporting a fire at the end of Bridge Lane in Hatfield. Lt. Sean Carroll of the state police barracks in Northampton told 22News police discovered a human body was on fire. Nothing about the body is known, including the gender or why it was on fire." Quote: "Bridge Lane is a dead end road, which transitions into dirt leading into farm land that goes right up to the Connecticut River." Quote: "An electrical fire on board a Porter flight led to an unexpected landing at the Fredericton airport Saturday morning, and more delays for some 70 passengers eager to start their March Break." Quote: "More than one hundred Virgin passengers have kicked up a stink after being stranded at Perth airport when a 'strange smell' forced their flight to turn around. The flight took off from Perth on Saturday afternoon and was just over an hour into the flight to Adelaide, when crew reported a strange smell at the back of the plane." Quote: "A TIGER flight had to divert to Mackay Airport this morning because of a medical emergency." Quote: "Women were filmed screaming in terror as they fled into the street in high heels. Meanwhile the flames intensified behind them and there were a series of violent explosions. The blaze quickly spread to neighbouring bars as motorbikes parked on the street burst into flames. Dozens of bars in a plaza area became affected. One woman was heard saying 'oh my god, what's happening' as sparks flew into the street and flames stretched into the night sky." Quote: "A two-alarm fire broke out Saturday at a warehouse filled with wooden pallets in northwest Miami-Dade County, officials said." Quote: "Previous research has shown that the Permian mass extinction event didn’t coincide with the start of the Siberian volcanic eruptions and lava flows, but rather 300,000 years later. That’s when the lava began to inject as sheets of magma underground, where Burger’s data suggests it ignited coal deposits. The coal ignition triggered the series of events that led to Earth’s worst mass extinction. Its sulfur emissions created the acid rain that killed forests. Its carbon emissions acidified the oceans and warmed the planet, killing most marine life. The dead bodies fed bacteria that produced toxic hydrogen sulfide gas, which in turn killed off more species. The warming of the oceans produced a large methane release, which accelerated global warming faster yet." Quote: "Police are investigating Sunday after a body was found 'burned beyond recognition' in a car fire in Southwest Detroit. Firefighters extinguished the gray 2000 Chevy Silverado shortly before 6 a.m. and discovered the victim inside. The car fire took place on the 9600 block of Herkimer, which is north of I-75 and east of the Rouge River. " Quote: "Gurgaon: An unidentified person was charred to death after a white Maruti Swift Dzire car caught fire near Gurgaon’s Ullahawas village on Sunday, police said. The vehicle was found completely burnt by the side of the main road at Behrampur T-Point in Sector 59 by the police." Quote: "On September 1 last year, three people were burnt to death in a car in the same region after it caught fire mysteriously." Quote: "Firefighters extinguished a single-alarm fire at a West Oakland recycling center, authorities said Sunday. Just after 9;20 p.m., firefighters responded to a report of a fire at Schnitzer Steel, 1101 Embarcadero West, and found a large blaze in a recycled-metal pile." Quote: "Around 8:30 p.m., firefighters were called after a Southwest Airlines flight 3562 was diverted after the cabin filled with smoke. Airport officials said the smoke was due to an electrical fire." Quote: "Villagers near the crash say they saw flames coming from the plane's engine before the crash, according to a report by Iran's state-run judiciary news agency Mizan." Quote: "An emergency services spokesman was quoted by ISNA as saying the plane was on fire." Quote: "'The plane crashed over a fire in the engine and local residents saw the flaming jet,' Khalidi said, as quoted by the ISNA news agency." Quote: "There were 21 bus fires and 69 'thermal incidents' in 2017, up 16 per cent compared to 2016, an Office of Transport Safety Investigations report into all buses and coaches in the state found." Quote: "The number of buses with such problems has increased each year since 2013, from 28 in that year to 90 in 2017." Quote: "Police have a mystery on their hands after a burned body was discovered in a field in southwest Miami-Dade. Miami-Dade Police are not saying how badly burned the person was but a law enforcement source said investigators discovered the body of a male." Quote: "'I walked out the door and there’s just – I mean, it’s like the sci-fi movie. I mean there’s just a thick black cloud of tar-like smoke,' said Rich Coffman." Quote: "A sixplex apartment building and a duplex near the property burned to the ground. Multiple families were displaced and 16 cats died inside the buildings, fire officials said. Some nearby homes and one school were evacuated." Quote: "Monday 12 March, 3.22pm Fire in underground electrical installation, Five Points Roundabout, Slough Road, Iver Heath. One appliance and crew from Langley attended. Firefighters used a carbon dioxide extinguisher." Quote: "A massive fire broke out Monday morning at a warehouse of automobile tires in the city of Novosibirsk, Russia's largest city and also the capital of Siberian District in the Far East of the country, local media reported." Quote: "The Coastal Area Odors Ad Hoc Committee will be on hold while the Mayor and Council Members hold meetings with federal officials and local members of Congress. Rest assured, progress is being made to identify the source and the South Coast Air Quality Management District is in the midst of an active investigation. Upon completion of the investigation and meetings the Ad Hoc Committee will resume meetings." Note: Huntington Beach formed this committee to investigate why their city is being hit by hydrogen sulfide, mentioned in the 2017-10-02 update. Now the investigative committee is on hold while they hold some meetings with feds and Congressional members, after which the committee will resume their meetings. Yeah, well, holding meetings isn't going to solve the problem. In fact, nothing is going to solve the problem, but I guess having some meetings before they get back to having other meetings gives them something to do. Maybe they should have a meeting to discuss whether they should schedule a meeting to determine whether meetings actually do anything! Quote: "A woman who was 'on fire' has died in Richmond. A spokeswoman from the Met Police said: 'Police were called at approximately 1.15pm on Monday, March 12 to reports of a woman on fire in the street in Queens Road, Richmond.'" Quote: "An early morning fire March 13 caused $5 million in damages after two beachfront homes were burned to the ground south of Rehoboth Beach. Firefighters responded to the fire at 3:10 a.m. on Sand Dune Drive, a row of homes nestled between the ocean and Silver Lake." Quote: "One person is dead and up to 20 injured after a charter tour bus carrying Texas high school band students home from a competition at Disney World plunged into a ravine near the Alabama-Florida line." Quote: "The cause of the crash remains unclear, though investigators were considering the possibility that the driver had a sudden medical problem." Quote: "The fire department responded to Eindhoven Airbase on Wednesday morning after the cockpit of a Hercules C130 suddenly filled with smoke, the fire brigade said on Twitter. The military plane was still on the ground when this happened. The six crew members on board immediately turned off the engines and left the aircraft. No one was hurt." Quote: "A marina owner in the Florida Keys told WPLG that the Hornet jet caught fire mid-air, then crashed." Quote: "Barbie Wilson, a local marina owner, witnessed the crash and called 911. 'These jets have been flying all day. I live in the neighborhood and so one was flying over. Then it went a little sideways, then I saw fire, and then it just literally dropped out of the sky,' Wilson said. 'It was like something out of a movie.'" Quote: "'It was going in to land, and all of a sudden, the whole thing flipped sideways and I saw a fireball,' witness Barbie Wilson told CBS News. 'Then the plane just dropped out of the sky.'" Quote: "Witnesses said it appeared the plane experienced some sort of explosion in the air. 'I saw the fire and then it just dropped,' said Barbie Wilson, who lives nearby and was driving when she saw the plane turn sideways and then burst into flames. 'In the air, I saw fire,' Wilson said." Quote: "Kale Nicodemus, who was standing near the plant when the first explosion erupted, described hearing a noise followed by several 'big fireballs' that kept shooting out of the plant. 'Things were blowing out of the roof, like metal lids on buckets. Then, the fire,' said Jesse Bailey, who was working next door. 'It smells like sulfur.'" Quote: "Fire units were dispatched Friday afternoon to the Ormond Beach Municipal Airport for an airplane and hangar fire. The plane, reported as a 1960s Piper Pacer, was fully involved and was a total loss, city spokeswoman Loretta Moisio said." Quote: "The Department of Fire and Emergency Services (DFES) were alerted to the fire just before 5am this morning after some vehicles caught fire at a scrap yard on Barberry Way. Firefighters contained the fire and bought it under control just after 6.15am this morning and are currently on the scene mopping up." Quote: "Somerset resident Barry Zebkowitz stands near a wetlands which may have something to do with storm drains in his neighbourhood which are releasing strong rotten egg smells. The same strong gases are also coming up through drains in homes in the area causing health worries." Quote: "He said residents have health concerns that algae in the storm system could cause health problems, adding two of his neighbours recently fell ill and he suspects the illnesses might be connected to the odour." Quote: "An 18-year-old man has died after his car caught fire early Saturday morning in Barrett, Minnesota. According to Minnesota State Patrol, around 3 a.m., the teen was driving north on Highway 55 in his 1991 Olds Cutlass and went off the road north of Barrett. The under brush and dry grasses under the vehicle caught fire and the car burned." Quote: "Several homes have been lost and residents are fleeing to relief centres as a number of fires burn out of control in Victoria’s southwest." Quote: "A grassfire that razed a substation at Terang continues to burn and residents in nearby towns were told on Sunday morning it was too late for them to leave. The Terang-Cobden Road fire is the largest at about 12,000 hectares in size." Quote: "Authorities have grave fears multiple fires could come together, creating an enormous front about 45kms north east of Warrnambool." Quote: "Victoria's bushfire crisis is worsening, with two major blazes on a collision course that could see them combine into a nightmare inferno." Quote: "Firefighters found two more bodies Monday in a hotel-casino gutted by fire that sent thick, heavy smoke into the sky over the Philippine capital, raising the death toll to five, officials said." Quote: "Residents of a seaside town devastated by a massive bushfire had no warning the blaze was coming due to a collapsed mobile phone tower. Furious homeowners in Tathra, near Bega on the New South Wales far south coast, said they were not warned until it was too late to evacuate." Quote: "Early assessment by the Rural Fire Services reveals up to 70 homes and other buildings have been destroyed." Quote: "Gas bottles exploded across a row of eight houses near Ocean View Terrace, turning a row of sea-facing homes into an inferno." Quote: "Firefighters said a truck caught fire, then caught two other cars on fire. The truck then rolled from its parking spot into one of the apartment buildings, melting the exterior." Quote: "The cause of a strong, natural gas odor in downtown Corry that was reported Friday afternoon is still unknown." Quote: "A United Airlines flight was forced to make an emergency landing in Honolulu after smoke started to come out of one of its engines. UA flight 372 left Honolulu bound for San Francisco but was forced to divert back to the Hawaiian capital on Monday morning local time." Quote: "Fire consumes 100 units at boat storage facility in Willis..."
Quote: "A boat storage facility was consumed by flames overnight in Willis, just north of Conroe. According to the Montgomery County Fire Marshal’s Office, fire crews responded at 2 a.m. Monday to the fire after passerby called it in at the Piney Woods Boat and RV Storage, located in the 11800 block of Calvary Road." Quote: "Photos uploaded by SCDF showed smoke billowing out from a pile of metal. Channel NewsAsia understands that an area about the size of a badminton court was on fire." Quote: "A health alert was sent out Monday night in El Paso County for those living close to a large tire fire burning." Quote: "A two-and-a-half-year-old girl suffered severe burns on Monday when a parked car she was playing in burst into flames in Aligarh's Kabir Nagar." Quote: "The smell can be tracked back to an excess of algae washing ashore, according to Dr. Rick Bartleson. It’s unclear how long the smell will last. 'Algae has a lot of sulfur in it and when it decomposes, the sulfur turns into hydrogen sulfide, which is sort of like a rotten egg smell,' Bartleson said." Quote: "People in Wellington, Royal Palm Beach, and Loxahatchee are wondering what the foul stench is they've been smelling the past week or so." Quote: "Marc Wiskoff smelled it Saturday. 'Smelled like garbage,' said Wiskoff. Jean is very concerned, as the smell even caused some health issues for her. 'Eyes-burning, headaches, nausea,' said Edwards. She's also worried whatever is causing the odor is impacting the water supply. 'It's mystifying,' said Edwards." Quote: "She spoke with one of her cheerleaders after Wednesday's game about the air's pungency. The student said it smelled like a dairy, but Taylor disagreed. 'One said "it’s just Tulare" and I said "no, I grew up on a dairy, that isn’t dairy smell,"' Taylor said. 'It was a weird smell.'" Quote: "A WestJet flight from Vancouver to Nanaimo declared an emergency after smoke filled the cabin and flight deck on its approach to the Nanaimo airport Tuesday." Quote: "By the time we landed you almost couldn't see the front row, that's how thick the smoke was. No masks dropped down and they just told us to breathe through our clothes." Quote: "According to information the IAF pilot opted to jump out from the plane after it caught fire following a technical snag. Pilot Arbind Joshi (30), opted for ejection from the single-seater plane, a hawk training aircraft, using a parachute after it developed technical snag and caught fire, sources said. Considering the seriousness of the situation he jumped from the plane, they added." Quote: "We have got information that the pilot identified as Arbind Joshi, opted for ejection from the single-seater plane, possibly a hawk training aircraft, using a parachute after it developed technical snag and caught fire mid-air." Quote: "The wreckages of the aircraft have submerged in the river. I think the pilot took a very good decision of taking the aircraft to the river despite fire catching up mid-air. Villagers said that even portion of the parachute had also caught fire..."
Quote: "Kids have been hospitalised following a hydrogen sulphide leak from a waste dump, TASS news agency reported. Dozens of children have reportedly been treated or hospitalised after exposure to foul gases from the Yadrovo landfill near the city of Volokolamsk." Quote: "Angry residents scuffled with government officials in a town near Moscow where dozens of children were brought to hospital after apparently breathing toxic gas leaked from a landfill. Pyotr Lazarev, the mayor of Volokolamsk, told Current Time TV that the children were rushed to hospital on March 21 with gas-poisoning symptoms, including nausea, vomiting, bleeding noses, and fainting." Quote: "All of the children suffered from nausea and dizziness, and three of them also had skin rashes, the regional health ministry told RIA Novosti." Quote: "At busy Northwestern and Lindberg in West Lafayette, it’s the unseen that’s got state inspectors concerned. 'There’s been a sewer smell that I have smelled off and on but I assumed it was just from all the flooding that’s been coming and going and all the work they’re doing out here on the road,' said resident Erika Allen. Her daughter said she’s smelled it too." Quote: "Glendale fire crews are evacuating HomeGoods on Brand Boulevard, where someone reported feeling sick after smelling an odor emitting from the store's bathroom. Glendale Fire's hazardous materials team is responding to the incident, which was reported about 2:15 p.m., officials said." Quote: "One car at American Steel and Recycling on Pecan Street off of Highway 52 caught fire Wednesday morning and ignited several others, according to West Florence Fire Department Public Information Officer Dwight Mobley." Quote: "A report of a transformer explosion in the 200 block of East Front Street in Plainfield has been confirmed by Plainfield's Director of Public Safety Carl Riley. 'A few transformers tripped and exploded underground.'" Quote: "As soon as you go down to our basement, it’s just like hitting a wall of almost rotten eggs. It sometimes almost has like a sulphur smell to it. It’s really strong." Quote: "Kershaw County Spokesperson Mary Anne Byrd said the school was evacuated due to an 'unusual odor.'" Quote: "There are new efforts underway to get to the bottom of the 'funky' smell stinking up the western communities. Many of you and have been chatting about it online. Unfortunately, the source is still a mystery." Note: Aha, it's the Underpants Gnomes strategy again. They're trying that in California too, in the cities being mysteriously hit by hydrogen sulfide. Phase 1: Form committee. Phase 2: ????????? Phase 3: Problem solved! Quote: "The sprawling patch of detritus – spanning 1.6m sq km, (617,763 sq miles) more than twice the size of France – contains at least 79,000 tons of plastic, new research published in Nature has found." Quote: "'I heard about 6 booms,' said Gardner. 'They were very loud and shook my windows. Happened about 8:30 a.m.'"
Quote: "One man was injured and two buildings were evacuated after a pair of manhole explosions in Lower Manhattan Thursday." Quote: "The official Vietnam News Agency said the blaze started in the basement parking area and took more than 200 firefighters more than an hour to put under control." Quote: "The basement was completely destroyed, along with 150 motorbikes and 13 cars." Quote: "Four people were taken to hospital after GSM London in Greenwich was evacuated due to a 'strong toxic smell'. All were checked over for existing medical issues and 'nothing out of the ordinary was identified'. The campus has now reopened." Quote: "Two transformers exploding at a high-voltage electrical substation caused a power outage that shut down Blue Line service through a portion of Long Beach for a few hours Friday afternoon, according to authorities." Quote: "There are at least 42 fires in the state larger than 100 acres. The 10,816-acre Biggy Fire is one of several about 20 miles northwest of Tulsa." Quote: "The U.S. State Department confirmed the bodies of four U.S. citizens were in Akumal, Mexico, which is near Tulum on the Caribbean coast of the Yucatan Peninsula." Quote: "The state prosecutor’s office of Quintana Roo, where Akumal is, said on Twitter that neither the bodies nor the room where they were found showed any sign of violence." Quote: "An Iowa family of four on vacation in Mexican seaside resort was found dead inside a condominium, but foul play was not suspected, authorities and a family member said on Friday." Quote: "Jana Weland, Amy Sharp's cousin, told ABC News the family went to Mexico to enjoy the beach and meet friends. There were no signs of forced entry into the condo, Weland said in a video posted to Twitter by the Des Moines ABC affiliate. 'They went to sleep and never woke up,' she said." Quote: "'This ice sheet, which covers 1.7 million square kilometers [650,000 square miles], was relatively stable 25 years ago, but now loses one billion tons [900 million metric tons] of ice every day,' lead author Poul Christoffersen, also from Cambridge's Scott Polar Research Institute, said in the statement." Quote: "An early morning blaze sent Harlem residents fleeing for their lives early Saturday, a little more than 24 hours after a firefighter was killed fighting flames further uptown." Quote: "Ridge's body was found inside his burned out pickup truck off Cooper Street in Merom around 4:30 a.m. Sunday. Dudley said the truck is believed to have been running at the time the fire broke out. The vehicle had been driven into a nearby yard prior to the fire, she said." Quote: "An Air Canada flight made an emergency landing in Washington, D.C. after pilots found smoke in the cockpit on Sunday evening. Flight AC 7618 took off from Toronto Pearson International Airport around 5 p.m. and was destined for Ronald Reagan Washington National Airport, but made an emergency landing at Washington Dulles International Airport." Quote: "The carnage is one of the greatest tragedies in Russia since the fall of the Soviet Union 27 years ago." Quote: "Dozens of children are feared to be among those killed in a devastating fire at a shopping mall in Siberia, as Russian authorities announced the death toll from the blaze has climbed to 64..."
Quote: "'A witness claimed that the car exploded and the fire spread quickly, causing the car to crash by the left side of the road,' he said." Quote: "A man was burnt to death when the car he was driving exploded and burst into flames, before it skidded and rammed into a road divider near Bukit Kayu Hitam in Kedah on Monday morning (Mar 26), local wire agency Bernama reported. The unidentified victim, who suffered 100 per cent burns, was pronounced dead at the scene of the accident along the North-South Expressway. Based on the car’s registration number, the owner was identified as 71-year-old Tan Kia Sock." Quote: "A Winona man sustained minor injuries Monday after his vehicle reportedly exploded along Prairie Island Road, deputy police chief Tom Williams said Tuesday. According to the report, the man was sitting in the passenger seat of the vehicle and had just lit a cigarette when the vehicle exploded." Quote: "Residents along the Forth shoreline have described hearing a mystery ‘explosion’ so loud it shook the ground around them. The incident happened at 8.50 am and was reported by workers and residents from Inverkeithing to Kirkcaldy, and even across the other side of the Forth in the Dalmeny and Cramond areas. One witness said he heard the loud bang from Dalgety Bay: 'It was clearly the sound of an explosion, rather than something being dropped or a car backfiring. Then there was a puff of smoke within the direction of the Inverkeithing docks area.'" 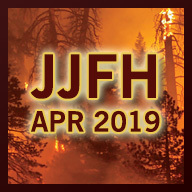 Quote: "A boom from River Metals Recycling Monday afternoon shook Joe Hall's home across State Avenue and sent thick clouds of smoke billowing into the sky. Firefighters arrived to find two large piles of scrap metal on fire, according to Cincinnati Fire Department District Chief Jason Vollmer. They extinguished both without injuries." Quote: "The mother of the children — ages 5 months, 3 years and 6 years old — went into a store and was told by a witness that her car was on fire..."
Quote: "The City of Amarillo wants to advise residents that they are aware of the natural gas odor across Amarillo. Several departments have been made aware of the odor, and the Amarillo Emergency Communications Center has received numerous calls about the odor. At this time, responders have found no indications of a leak associated with the odor. Atmos Energy believes the weather conditions are bringing the odor from a source outside the Amarillo area." Quote: "A passenger plane was evacuated at Moscow's Domodedovo Airport after the cabin filled with smoke. Passengers were forced to evacuate via inflatable slides in the dark. Flight GH-173 to Novosibirsk had to abort take-off late on Tuesday, when the pilots of the Boeing 727 plane noticed smoke in the cockpit. The entire landing strip was immediately blocked off and passengers were ordered to leave the plane via inflatable slides." Quote: "According to Yakub’s brother-in-law Md Maruf, the explosion occurred at around 11:30am on Tuesday, when Hasan was brought in inspect and clean the reserve water tank as it was not operating properly. 'Hasan tried to shine a flashlight into the tank to check the water level. As he could still not see properly, a candle was brought to provide more light. When they tried to light the candle, there was an explosion,' he added. DMCH burn unit Resident Dr Partha Shankar Pal said all of the injured were in critical condition, having suffered severe burns in their nasal passages." 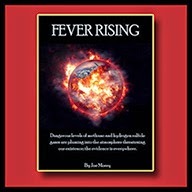 Quote: "The three firms that raised concerns about high H2S levels were Royal Dutch Shell Co (RDSa.L), Australian bank Macquarie Group and PetroChina International America, the U.S. trading arm of state-owned energy firm PetroChina Co Ltd [601857.SS], according to the shipping documents, emails provided by the Energy Department in response to a public records request, and a department official who declined to be identified." Quote: "A flurry of reports about a foul odor in the La Jolla and Clairemont neighbors had San Diego Fire-Rescue crews busy Wednesday afternoon. Crews had at least six calls about possible gas leaks starting about 3:30 p.m. Three calls came from La Jolla, a fourth was just east of U.C. San Diego, a fifth call in University City, and a sixth came from Clairemont. Firefighters found no evidence of a gas leak." Quote: "Police are investigating the deaths of two people whose charred bodies were found inside a burned-out vehicle in Kamisu, Ibaraki Prefecture. According to police, at around 5:50 a.m. on Wednesday, a man who had been out fishing notified police of 'a burning vehicle with people inside' parked along a breakwater in the Minamihama district. After firefighters extinguished the blaze, police said the remains of two people were found in the driver’s and front passenger seats." Quote: "As the planet warms, giant icebergs and sea ice that once would have remained trapped in the frozen Arctic are moving southward faster and more frequently, menacing shipping and oil and gas drilling operations." Quote: "Three separate medical emergencies, all within a short span of time, caused delays for MARTA trains along the Red and Gold lines Wednesday morning but everything is back to normal." Quote: "The landing gear on a Delta plane caught fire shortly Thursday after the plane landed in Atlanta, according to the airline and the Federal Aviation Authority said. There were 199 passengers on board, Delta said." Quote: "'The driver said he saw fire breaking out from the middle of the bus, which then spread quickly,' Kritkanok Dan-udom, the chief of Maetor district police station, told Reuters." Quote: "Firefighters were called to a sulphur fire that ignited underneath a stretch of inner city Rotorua road." Quote: "Fire crews were called to Margate this evening (March 30) following reports of an ‘explosion.’ Crews attended at flats in Dane Valley Road at 8.34pm after residents reported hearing a bang and saw smoke inside the building. Two fire engines attended and crews did a thermal scan of the building and a thorough search, but there were no signs of fire. Firefighters were satisfied that the building was safe and left the scene at 9pm. There were no reported injuries. The ‘bang’ remains unexplained." Quote: "Plumes of smoke billowed across a village after a stack of scrap cars and metal went up in flames. Six fire engines fought a large fire which had engulfed cars, metal and tyres at a scrap metal yard in Great Rollright, near Chipping Norton." Quote: "A warehouse filled with vintage cars was destroyed in a fire in Kerkrade, Limburg on Friday morning. The fire department has the fire under control and is working on extinguishing it, AD reports. The fire started around 5:30 a.m. in the warehouse on Wiebachstraat, near Parkstad Limburg Stadium." Quote: "A Baltimore-bound American Airlines flight returned Friday to Phoenix after two flight attendants complained of feeling ill. KPNX-TV reported that two flight attendants complained of feeling nauseous and dizzy and with a sore throat. The aircraft landed safely and hazardous materials crews are investigating an odor on the plane. Earlier reports of several passengers feeling ill were inaccurate, officials said." Quote: "Woman said she saw ball of fire in the sky Wednesday..."
Quote: "She lives on Straight Mountain on the St. Clair County and Blount County line. She said when she went outside that morning, she saw what looked like a ball of fire. 'It started falling and it went a third of his house down, and it blocked my view,' said Garrett." We can see, if being objective and honest, that this atmospheric degradation will destroy civilization. Like radiation that can't be seen, the effects of the steady increases in H2S and CH4 will continue to erode buildings, concrete and steel bridges, cause "spontaneous" fires (from ad and absorption onto and into materials, since H2S reacts by sparking under "normal" conditions to so many things) in brush, clothing, wood, metal, and the fires will burn hotter and faster with these now naturally occurring accelerators, and cause INSTANT DEATH in marine life (since these gases are water soluble), animals, humans, and other species unable to adapt to poisoned air and water. For more, see Jonny's comprehensive full hypothesis. Remember it isn't JUST one factor. Life is being destroyed on multiple fronts - we face crop failures and starvation, radiation poisoning, unknown cell tower bandwidth expansion effects, stronger storms (from rain to cyclones and hurricanes), droughts and floods, earthquake and volcanic activity (which is the planet reacting to all the melting ice, rising of the land beneath it, and redistribution of water, among other effects), more lightning strikes (causing fires and killing life), forest and other fires, insanity and instability, diseases and pestilence, and much more - along with the guaranteed instant death from these gases. It's about to get "interesting."